The book is written clearly and in the simplest language possible, so as to make it readily understood by all students. Necessary technical expressions are clearly explained when introduced. Every effort has been made to give students practical and accurate information in clear and concise form. 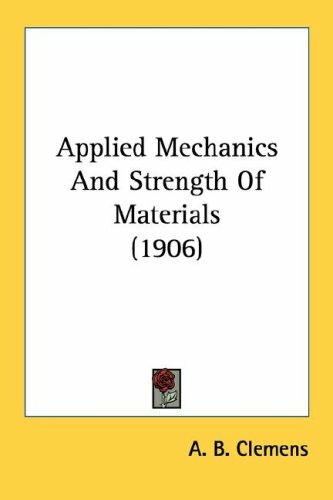 This book presents those principles of mechanics that are believed to be essential for the student of engineering. Throughout the book the aim has been to make the principles of mechanics stand out clearly ; to build them up from common experience. The book presents the principles of elementary dynamics, and explains the meaning of the physical quantities involved, partly by definition and description, but mainly by worked examples in which formulae have been avoided as far as possible.